In cities nationwide, Dakota Access Pipeline protesters are treating their cause with more urgency than ever since the Standing Rock Sioux Tribe vowed to fight President Donald Trump’s executive memorandum expediting construction. In court documents filed on Tuesday, the US Army Corps of Engineers announced it would grant the final permit for the Dakota Access Pipeline, and cancel any further environmental impact study (EIS) that would allow the pipe to be laid beneath Lake Oahe. "Today's announcement will allow for the final step, which is granting of the easement," Robert Speer, Acting Secretary of the Army, announced in a press release. 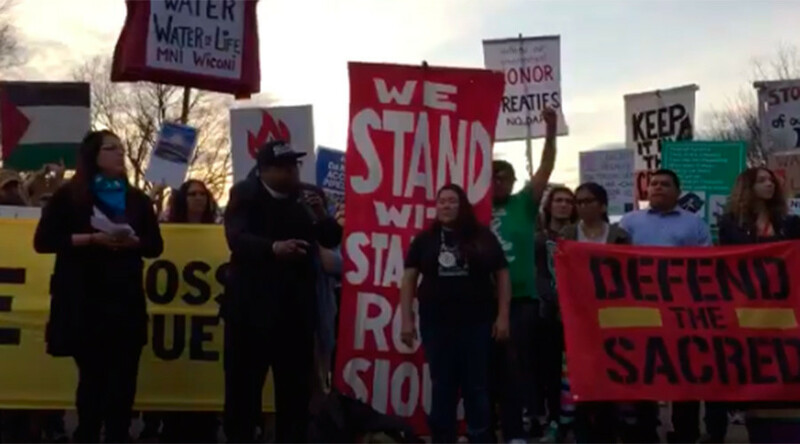 "Once that it done, we will have completed all the tasks in the Presidential Memorandum of January 24, 2017,"
The announcement was a major blow to Native American “water protectors,” who were told in December that the Army Corps would not grant the company building the pipeline, Dallas-based Energy Transfer Partners, an easement to complete the final two miles of the $3.7 billion 1,170-mile pipeline. After months of protesting, thousands of Native tribe members, climate activists and military veterans left the protest camps when the Obama administration ordered the environmental review in December. The few who stayed were subjected to temperatures of minus 9 degrees Fahrenheit. “The Obama administration correctly found that the Tribe’s treaty rights needed to be acknowledged and protected, and that the easement should not be granted without further review and consideration of alternative crossing locations,” Jan Hasselman, lead attorney for the Tribe, said in a statement. On Wednesday, protesters took to the streets in several cities across the US, as a part of what is being called the “last stand” rallies. The Standing Rock Sioux, along with other Native tribes, have also scheduled a march in Washington, DC for March 10. “We ask that our allies join us in demanding that Congress demand a fair and accurate process,” Dave Archambault II, chairman of the Standing Rock Sioux Tribe, said in a statement released on Tuesday. 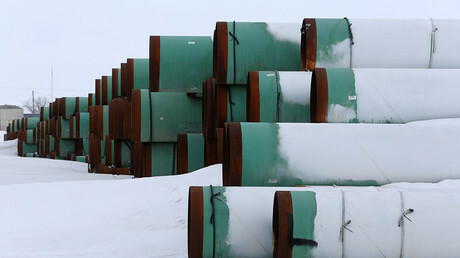 “Our fight is no longer at the North Dakota site itself. Our fight is with Congress and the Trump administration. Meet us in Washington on March 10,” Archambault said.